There are a few things I accomplished during my college years that to this day I'm really proud of: #1- graduating. #2- performing Eugene O'Neil. #3- not killing anyone. Another of those choice accomplishments was a paper I wrote for my Musical Theatre History class. This required paper was to be turned in at the end of the semester. I was to pick a relevant musical theatre topic and write about it for as long as I could. In other words, it was a dream come true! As a student at BYU, I decided to write academically about something that wouldn't and couldn't be written on any other campus in America. I titled my paper, "You Can Build Zion and Still Sing Sondheim: 3 Musicals That Would Never Be Performed at BYU But Still Teach Gospel Principles." Reading back through this paper, I think I was a little harsh on my alma mater. Nevertheless, it was true to how I was feeling at the time. I was upset because I felt that, as a student at a religious university like BYU, I was constantly compelled to apologize for everything I did, beginning with wanting a career as a performer in the first place. I sensed a degree of illegitimacy towards our field of study, as if musical theatre didn't deserve to be part of the academic institution. And if that wasn't enough, the opportunities to prove otherwise, through performing the more complex literature of the art form, were often impossible due to codes and standards of the school and church. Looking back now, I see that when I wrote my paper, I wasn't upset at BYU as much as I was just passionate about art, or more specifically, what I had learned about it. I'd realized that when art is a reflection of reality, truth will always be found in the details, regardless of whether or not those reflections follow the commandments of God. This principle is why I'm still proud of my paper from all those years ago. It's a principle that I think we as members of the Church of Jesus Christ of Latter day Saints are reminded time and time again even if we choose not to notice. Take The Book of Mormon, for example. (The actual book, not the musical.) The Fourth Book of Nephi, found in The Book of Mormon, is comprised of only one chapter. That chapter is broken down into 49 verses, and of those verses, the first 22 account the formation of a pure society of Zion in the ancient Americas following the Savior's visitation around 34 A.D. The final 28 record the destruction of that same society due to the choices of the people. Take Sweeney Todd: The Demon Barber of Fleet Street as an example. With a score and lyrics by Stephen Sondheim, it's quite possibly the darkest story to ever be musicalized. That is, of course, unless you can think of a story more upsetting than a vengeful barber slitting throats to avenge his past, and then grinding them up for meat pies. Sondheim has always had a knack for stretching the musical theatre art form to new territory, but what sets him apart is that his musicals are often so experimental AND masterful. It's no small feat. It's also no stretch of the imagination to foresee the kind of reluctance a more conservative audience would have to warmly welcome this bloody masterpiece. Why would anyone striving to live the Christ-like attributes of love and forgiveness subject themselves to witness the horror of Sweeney Todd? The same could be asked of a more familiar character. In the Old Testament of the Bible, we meet David, from "David and Goliath" fame. This meek and faithful shepherd boy found himself admired by an entire nation, and soon, became ruler over it. A life of such potential, however, was never fulfilled. Before he knew it, King David fell "from his exaltation," loving power more than life, and committing both adultery and murder. When we read how easily a man, like David, in all his righteousness was still capable of such acts, we, ourselves, become more wary of our own pitfalls. Such is the case with Sweeney Todd. 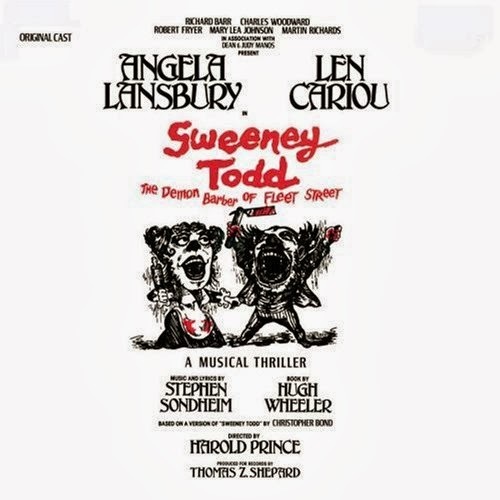 The true terror of this musical does not lie in its gratuitous bloodshed, but in the question that if we were faced with Sweeney's unjust circumstances, would we lose ourselves in a similar demise? This musical asks its audience, just like the scriptures of old, "What god are you serving?" In Sweeney's case, Sondheim tells us it was "a dark and a vengeful god." Likewise, if our answer is revenge or greed, then we, like Mr Todd, will find that it only grows more powerful through our own emulation. "The more he bleeds, the more he lives. He never forgets and he never forgives." What Sweeney learned too late was the power he wanted to heal his wounds wasn't found in creating more of them. In 1995, LDS General Authorities released a single-paged proclamation that has since become a staple of Mormon doctrine. Among other things, it declares the importance "to maintain and strengthen the family as the fundamental unit of society." So why this "Proclamation to the World?" I'll answer that in two words: Mama Rose. 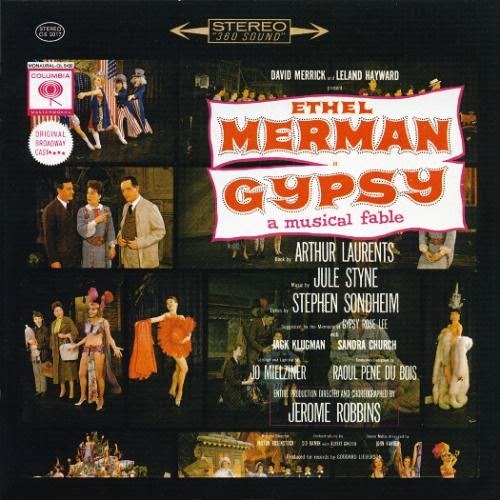 Gypsy is a musical with lyrics by Stephen Sondheim that tells the story of Gypsy Rose Lee, a famous burlesque stripper from the 1920s and 30s. While she is the show's namesake, it is her infamous stage mother, Rose, that has become one of the most formidable characters to ever grace the stage. "I had a dream," Rose sings early in the show. Right away, Sondheim lets us know that the dream to get her children into show business is her dream, and possibly, one that was born out of being abandoned by her mother as a child and left to an emotionally unattached father. As the musical continues, Rose is abandoned yet again, this time by her own child, June, and Mama Rose rebounds by pushing the shy Louise into the spotlight. Louise struggles to find her place in the loud, confrontational world of entertainment until one night, out of desperation, Rose forces the now older Louise into stripping at a dumpy burlesque house. Louise becomes Gypsy Rose Lee, the "classy" stripper, and with new found confidence stands up to her overbearing mother once and for all. I still remember my own mother's look of disappointment upon realizing the show that gave birth to "Everything's Comin' Up Roses" was about a mother who forces her daughter to take off her clothes. I maintain, however, that Gypsy holds an essential message for all Latter day Saint families. The ingenious title of this musical, "Gypsy," is not only Louise's future name-to-fame, but also makes an intriguing commentary on Rose's life. She, like a nomadic gypsy, has no home. Instead she weathers life's scars by relying on dreams to raise her children. She assumes that her own insecurities about life will be best conquered if she can give her children all she ever wanted. What she doesn't realize is her children don't want it. Thus we see a vicious familial cycle in Gypsy. Rose was left with a void as a child. As an adult, she seeks to fill it with public attention, all the while withholding personal affection from her own daughters. They, in turn, run away to the public to make up for it. They're surprised to have followed their mother's and grandmother's footsteps, and Rose is surprised to end up alone. In a culture that promotes family as the fundamental unit of society, Gypsy provides an important warning. Family is not a gimmick. Regardless of societal pressures, rearing a noble family should only proceed when the parents recognize the responsibility of creating new life. If children are only meant to complete a portrait, fill a void, or be in show business, the consequences echo for generations to come. The house lights dim, the orchestra swells, and the curtain rises to reveal a bed filled by two lovers recovering from their latest round of love-making. One of them is married, but not to the other. 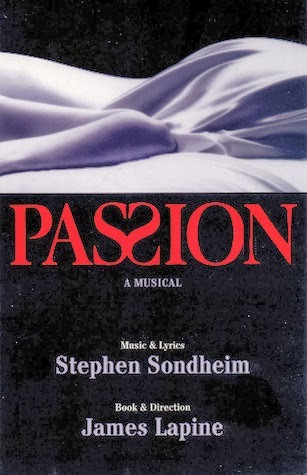 The first five minutes of Stephen Sondheim's Passion are probably why I thought a BYU production was highly unlikely. The script follows Georgio, a young, romantic soldier in love with the beautiful, but married, Clara. When Georgio is reassigned to a smaller post, he meets his Captain's cousin, Fosca, an ugly woman depressed by her constant state of illness and pain. Showing compassion, Georgio is kind to her, and Fosca is immediately smitten. As Fosca's desire to gain Georgio's love turns to despair, Clara continues in her adulterous affair with him until she suddenly ends it. Georgio is devastated and recognizes how shallow Clara's love has been. He likewise recognizes the unbridled love that Fosca has, and it changes him forever. This show doesn't have a traditionally happy ending, but it deals with love in a way never before explored in a musical, and led me to one of the great spiritual awakenings I've ever had. The ancient prophet Isaiah said of Jesus Christ's initial coming, "He hath no form nor comeliness; and when we shall see him, there is no beauty that we should desire him." In the same way, Fosca, has no great aesthetic to her form. Rather, her beauty lives in her vulnerability. "Loving you is not a choice; it's who I am," she declares to Georgio. "It gives me purpose, gives me voice to say to the world: This is why I live. You are why I live." This woman's heart is wide open, and yet she confesses that standing in that terrifyingly exposed place is why she lives. She, who spends the entire show struggling to find the will to live beyond her illness finds the motivation to do so through love. This is what lead me to my great epiphany: Love always leads to life! The physical expression of making love, for example, creates life. Emotionally speaking, feeling loved can bring us back to life when all seems lost. Then think about the scripture, "for God so loved the world that he gave his only begotten Son..."
I've often struggled to comprehend how and why Jesus Christ could suffer so in the Garden of Gethsemane, and later, at Calvary, only to then resurrect three days later. In the past, I've simply regarded it as some godly power I couldn't understand. But if love really leads to life, then perfect love (like that of a deity) contains the power over life, that is, to lay it down and take it up again. I believe the divine power held by Jesus Christ to conquer death stems directly from the perfect and infinite love he held for every living thing. No wonder his mission has often been called "the passion." Like Fosca's journey, it was selfless and, ultimately, transformative. To be fair, I do understand. From movies to music to musicals, our world seems to be full of "challenging material." But that's because the world we live in is one ruled by contrast. Our desire for peace is stronger during times of war. Our need for love is more fervent in times of sorrow. The lessons of humility are gained among consequences of selfishness. Does it have to be that way? No. But since repentance is a divine principle, it's definitely expected. The three musicals above are additional testaments to that principle of contrast. In fact, they're a safer route to the same conclusion. There's nothing that says wisdom can't be earned by witnessing someone else's choices. So why not spend an evening with Sweeney Todd, or Momma Rose, or Georgio? They can provide us with a greater understanding of the the complexities of reality, which in turn, make the faithful stronger, but only if Christ is their reality. Now I'm not saying that all artistic expressions are made with the singular goal of helping me think about Jesus. In fact, I'm sure Mr Sondheim might find it rather amusing that this is what I've taken from his works. But the point, my friends, brothers, and sisters, is while we often put a lot of energy on deciding what to support, we also need to be careful of what we avoid. If we don't take advantage of that which teaches, we are not using art as God intended. We'll just be reading the first 22 verses of The Fourth Book of Nephi. 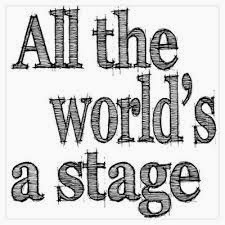 And as far as the argument that "it's just a musical," I'll remind you that Jesus Christ himself taught through theatre. He told stories; he used props, and he had a lot of special effects. So go ahead: sing Sondheim and build Zion! And when that finally leads to the first stake production of A Little Night Music, be sure to invite me to audition. I'd love to play Henrik. Oof. This one had a lot of meat to it :) I hardly ever hear anyone in the theater talk about these points...very thought provoking. Perhaps Book of Mormon is in BYUs future?